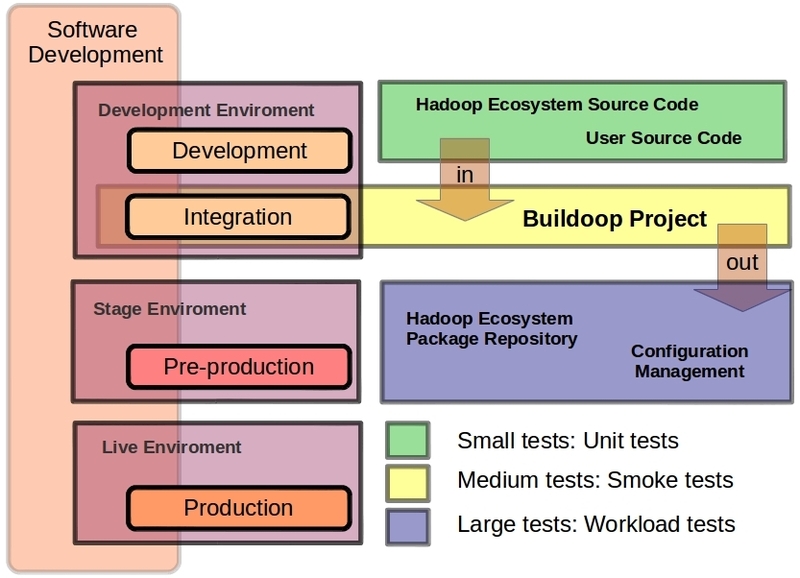 Buildoop Project is an open source collaboration project that provides templates and tools to help you create custom Linux-based systems based on Hadoop ecosystem. Application developers: Tools integrated with hadoop ecosystem. You can use any Linux distribution as foundation (Centos 6.x, Ubuntu 12.04.x, …) and create add-ons with Buildoop to convert this distribution in a Hadoop Linux distribution. Buildoop engine: a make-like build command line tool. Metadata: A set of metadata information with “buildoop recipes”. “buildoop recipes” specify how a particular package is built. It includes all the package dependencies, source code locations, configuration, compilation, build, install and remove instructions. SIT: System Integration Test Framework. The individual software modules are combined and tested as a group by means of virtualized infrastructure. Configuration artifacts: Set of configuration management files for operating system deploy and software configuration. 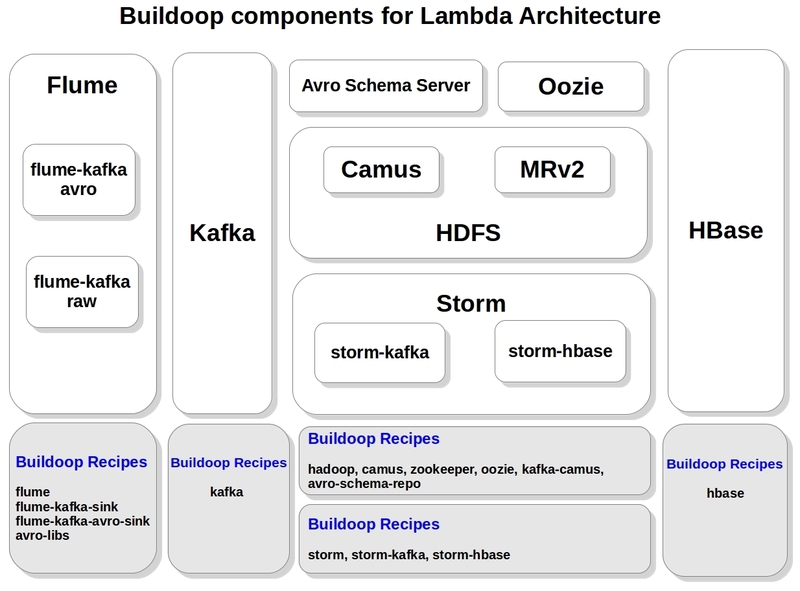 The following is a real production implementation of Lambda Architecture for Linux Audit Framework analysis using Buildoop as package building system. The whole cluster is monitored with Linux Audit enabled. 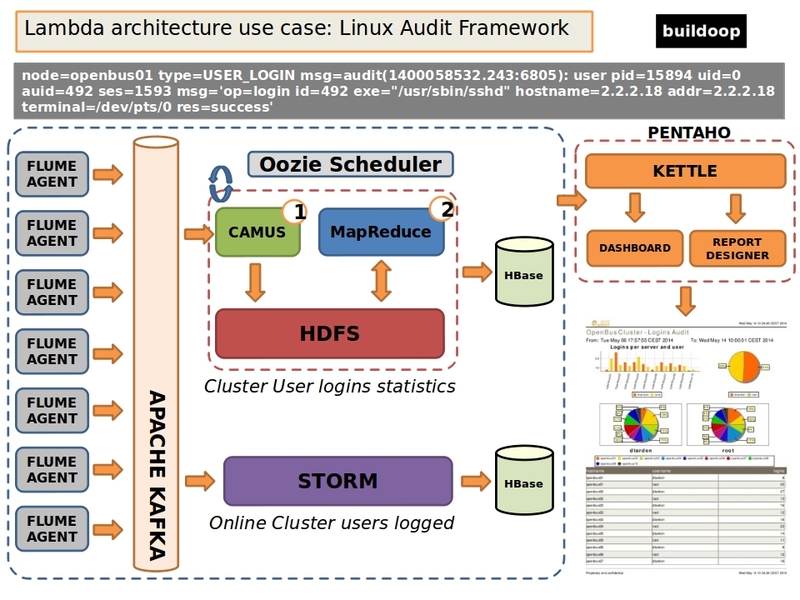 The audit.log for each node is converted to Avro and is injected using Flume into kafka, the log is processed in the batch layer for long term storage analysis. The same log entry is processed in the speed layer for incremental frame analysis, or for other on-line analysis, for example the current logged users in the cluster. The whole tool set is built using Buildoop.